The paved path follows the state Route 5 corridor along a relatively flat, meandering course.The route is classified as a scenic byway and takes riders past dozens of historic properties. It also benefits from a lush tree canopy, keeping riders and runners cool and out of the sun in the summer. 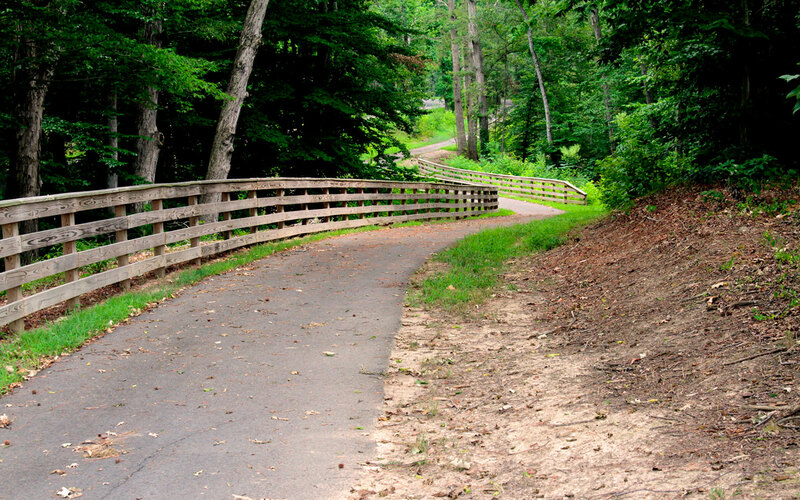 Amenities along the Trail include bike rentals, fix-it stations, snack areas, restrooms, geocaching, rain shelters, and a playground at Chickahominy Riverfront Park. The Trail was officially open in October 2015. Enjoy fresh air and beautiful landscapes along a relatively flat, meandering course.